When it comes to owning a piece of rock'n'roll history, it's hard to image a more prized item than this: the acetate from Elvis Presley's very first studio recording is set to go up for auction. This is the only copy of the acetate, which includes two songs: "My Happiness" and "That's When Your Heartaches Begin." They were recorded for around $4 at the Memphis Recording Service on July 18, 1953. The recordings have since appeared on various compilations, although the original disc has remained private. Legend has it that the King intended the record as a gift for his mother, or that he was interested in hearing what he sounded like. This story has been disputed and some have suggested that he picked the Sun Records studio because he hoped to be discovered. It's going under the gavel through the singer's Graceland estate. 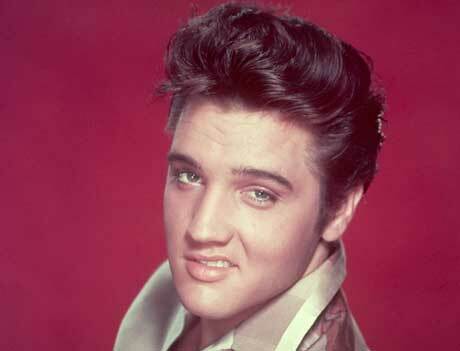 The all-Elvis auction will take place on January 8, which would have been his 80th birthday. The New York Times notes that Record Collector magazine once listed the acetate's value at $500,000, although Graceland hasn't provided an estimate for what it will sell for. Other items in the auction include an autographed copy of Presley's first Sun single ("That's All Right"), his first driver's licence from 1952, and a signed radio contract from 1955. None of these items come from Graceland's own collection, but rather from private collectors. Hear "My Happiness" and "That's When Your Heartaches Begin" below.